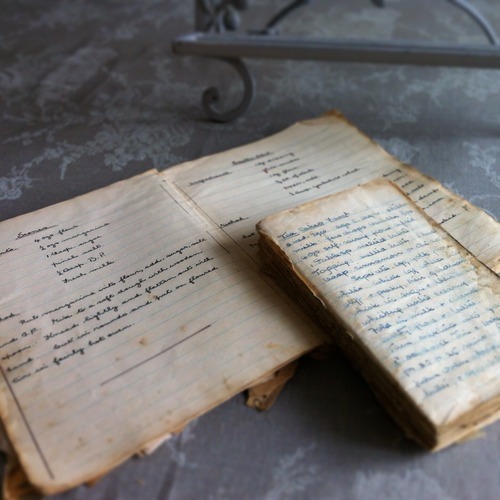 This scone recipe, from my great-aunt Gracie from 1956, is borrowed from my Mom who is caretaker of these wonderful recipes. I have typed out the recipe exactly from her handwritten recipe book so the measurements are not all stated precisely. 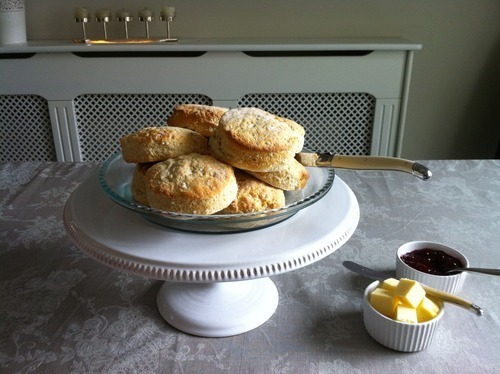 These scones are absolutely delicious with strawberry jam and clotted cream but for an afternoon snack butter and jam is almost as good! Rub margarine into flour. Add sugar, salt and baking powder. Add milk and mix to a soft dough with wooden spoon. Knead lightly and flatten out with hand. Cut in rounds and put on floured tin in fairly hot oven.